This page is for the non-conformists among us. In this instance, it’s important to remember that when Grandin says what she says, she is speaking from a place of unchecked privilege. As a White upper-class woman with ableist assumptions, her blanket statements are not only inaccurate but have the capability to do a lot of damage. What if the world stopped thinking of autism as abnormal? See article from the Australian media outlet SBS. The Special Broadcasting Service (SBS) is a national public broadcaster with a special mandate to reflect the multicultural nature of Australian society. See FAQ. 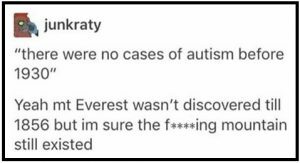 Some people have very strong feelings about neurodiversity. 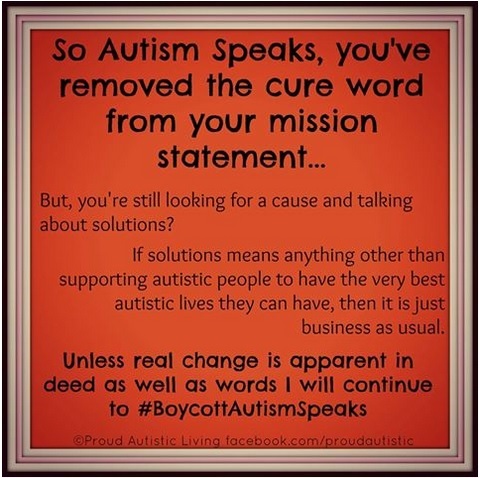 The caption on the left is a reaction to Autism Speaks’ change to their aims. 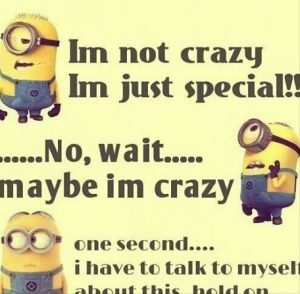 The captioned image is taken from Pround Autistic Living. It has thoughtful posts too. Steve Silberman puts meat on the bones of the contrary view Different not less. He seems to have a questioning mind. 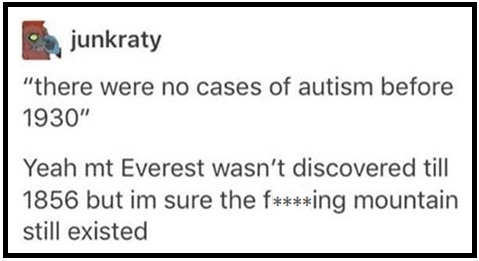 He has a lot to say about autism. See Diversity press for more about this author. Here is a video about alternatives to school from the Boy in a Band blog. Both video and blog are zany but engaging. This blogger thought she should do some research before commenting publicly. The research confirmed her suspicions. She explains her thinking in detail. Click icon on the left to see the post. 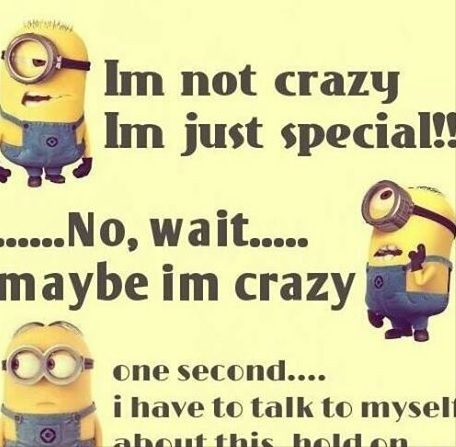 This Facebook page offers humorous and quirky views of life on the autistic spectrum. For some it will hit the spot, but it will not be to everyone’s taste. 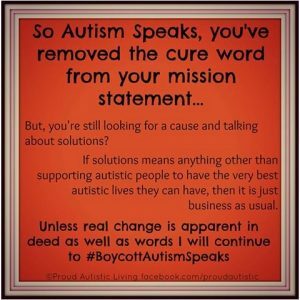 It is called, “No one will ever believe you – Autism Rants and Escapades“.